Several friends have recently contacted me to congratulate me on making a big enough impact to catch the eye of those with nothing better to do than sit back and criticize. I have found that people who are anti-leadership are typically not very good in that department themselves. Thus, they’ve allowed their own ineffectiveness to create within them a spirit of disparagement. Many of these voices are part of an ever more vocal backlash against the evangelical community’s emphasis on leadership development. Leonard Sweet insists that the Bible is utterly unconcerned with leadership; a word he points out is never used in scripture. Instead, it is wholly consumed with “followership” (ironically another word not found in the Bible). One doesn’t have to read very far in the Bible to find a God who leads and who raises up leaders. As the scripture above demonstrates, “followership” can never be separated from leadership. Christ leads us in triumphal procession, and as we get in line others follow. Everyone who moves creates a flow. 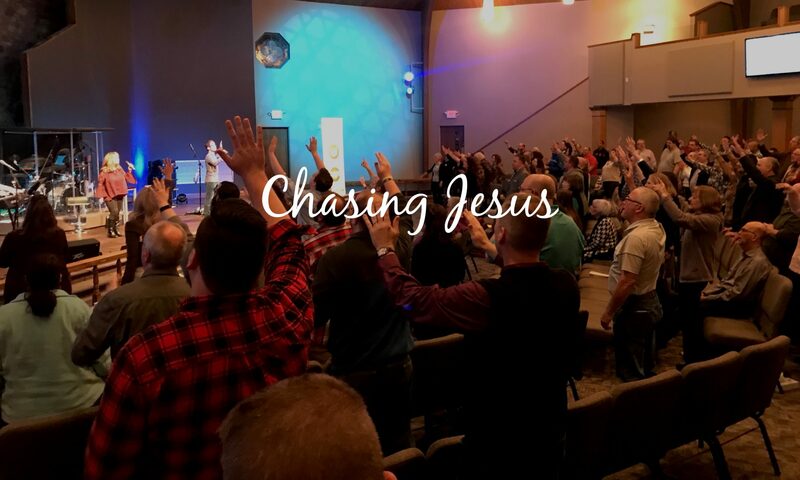 The issue of what direction we’re moving, and how to create a greater flow in the right direction, strikes at the heart of the biblical story from Genesis through Revelation. God Leads. God is not an immovable object, but instead, he is always on the move. God led Moses. God led Joshua. God led David. God led Paul. God led the Apostles. God led in the Old Testament. God led in the New Testament. God still leads. God Raises Up Leaders. When God leads, he expects more from us than simply following. God doesn’t simply raise up a people for himself who will follow him. He raises up a people who will lead others. This thought is at the heart of practical Wesleyan theology. John Wesley raised up leaders who raised up leaders who raised up leaders. More importantly, this idea is grounded in the biblical narrative. God raised up Abraham and told him that he would make Abraham a blessing to all nations. God raised up Moses and told him he would lead the Israelites out of Egypt. God raised up kings and judges and prophets and fishermen and tax collectors and kids with sack lunches, all of whom had a role in influencing others toward God. God Raises Up Leaders Who Raise Up Leaders. If Abraham were to become a blessing to all nations, it would only happen through his offspring. This means that Isaac would need to be raised up as a leader who would raise up leaders like Jacob who would raise up leaders like Joseph and his older brothers who would give birth to a generation who would give birth to generations who would forget about God. Enslavement in Egypt serves as an advance warning that failure to follow well and lead well will cause history to repeat itself. In the New Testament, everything in the Gospels leads to the Great Commission, and everything after flows from it. Here Jesus solidifies for all ages that a disciple is not merely a follower but is instead one who “makes disciples.” Further, if a disciple is one who makes disciples, then the disciples being made will by definition be ones who are making disciples. Is it possible to settle on a biblical definition of discipleship that does not require the one making disciples to exercise leadership (i.e. influence) of those being discipled? God leads. God raises up leaders. God raises up leaders who raise up leaders. When the leadership cycle is broken people suffer consequences in their own generation and for generations to come. When God’s people lead well, it is felt for generations to come. What we are seeing today is a lot of incompetent voices longing to be heard. These people seek notoriety without accomplishment. Be suspicious of voices that have a reputation for constantly criticizing, laughing at, calling into question, and downplaying leadership. These are often people with no track record of making a lasting difference in the world, yet have a deep desire to inform others how to better do their job. We need more, loving, passionate, selfless, visionary leaders. We need less of those who call themselves ministers, yet all they seem to have time to do is tear down, critique, mock, and ridicule. Amazing leaders produce amazing fruit. Incompetent leaders just like to hear themselves talk. Be Amazing!